A network of university students and Morinaga & Co Ltd are carrying out '1Action for 1Smile' fairtrade purchasing campaign around Valentine's Day this year. In Japan, Valentine's Day is an opportunity for women to express their feelings by sending chocolates to men. Using Morinaga 'DARS', Japan's first chocolate product to contains fairtrade cacao, during Valentine's Day, the campaign aims to raise awareness of fairtrade products and sustainable cacao farming in Ghana. At the same time, those young students can also express their special feelings to their loved ones. For further information, please visit the Facebook campaign page (in Japanese). UNEP launched the International Sustainable Public Procurement Initiative (SPPI) on 18 June 2012 in Rio de Janeiro. The SPPI aims at bringing together representatives from governments, local authorities, business sector and civil society interested in collectively promoting the supply and demand of sustainable products through SPP. For further information, visit UNEP web site. 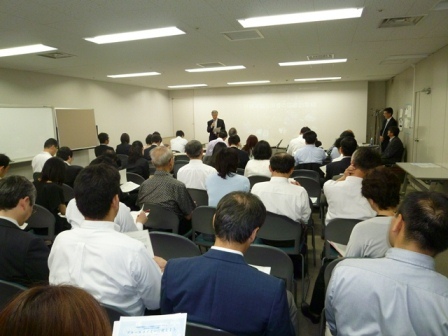 IGPN secretariat, together with GPN Japan, held the first workshop on 24 May to study and analyse the trend and practice of ethical / CSR procurement in Japan and abroad. The participants included representatives from research institutes, universities, government sector, industrial sector, environmental NGOs, etc. More workshops are being planned this year, with a view to develop ethical procurement guidelines as part of the future activities of IGPN. Farmers across the UK have been deserting organic farming, or holding back on plans to convert their land to more environmentally friendly farming methods, as sales of organic products have fallen in the economic downturn. The rapid decline in interest from farmers is not yet reflected in the amount of land in organic production overall in the UK, which has risen slightly. It takes several years to convert land from conventional production to organic production, in part because of the need to stop using fertilisers and pesticides that may still be present in the soil. What the figures show is that this is not being replenished by new farmers coming on board. As the decline in farmers entering organic conversion feeds through, the overall figure for organically farmed land is likely to stagnate or fall. The Green Business Africa Summit & Expo is Africa’s first flagship event that brings to the mainstream issues around sustainability in the business environment as well as green corporate social responsibility (CSR). "ClimateWire, 21 April 2010 - A decided majority of electricity customers would not sign up for demand management programs that allowed utilities to remotely control home appliances unless they could override the utilities' actions, according to a survey by Accenture, the global management consulting firm." Visit WBCSD site to read the rest of the article. Buy Smart is a website launched this year and maintained by the Italian National Agency for New Technologies, Energy and Sustainable Economic Development (ENEA), which provides free consultation and information on green purchasing. [Theatro Naturale] Seven organisations have won the European Eco-Management and Audit Scheme (EMAS) Awards for excellence in environmental management. The awards recognise outstanding achievements in environmental management. The 2009 awards focused on the supply chain including green procurement. This year 32 organisations from 12 European countries were nominated. The seven winners were selected by a jury of six experts in the field of environmental management and public procurement. Read the article on Theatro Naturale International. A video clip of the coverage by Korean Media, Ariran TV News, on The 3rd International Conference on Green Purchasing Suwon. ICLEI - Local Governments for Sustainability and Reykjavik City Council have announced the details of EcoProcura 2009 conference. Titled "Climate Neutral through Procurement" and it aims to exchange ideas, experiences, concepts and opinions on how sustainable procurement can contribute to reducing greenhouse gas emissions and adaptation to climate change. ICLEI's EcoProcura Conferences is the only European conference to provide a platform to promote exchange and dialogue amongst purchasers from all levels of governments, suppliers, policy-makers and multipliers on strategies and the latest practical solutions for implementing sustainable procurement. For further information, visit ICLEI Europe's web site. The Eco-products International Fair (EPIF) was initiated by the Asian Productivity Organization (APO) in 2004 and has been held in Malaysia, Thailand, and Singapore with the number of participating companies increasing every year. With the remarkable economic growth, the attractive investment opportunities and the concerns expressed by the government and its people for the environmental protection in recent years, Vietnam will play a host country for the fourth Eco-products International Fair in 2008, which is scheduled to take place in Hanoi between the 1st and 4th March 2008. Please visit the EPIF 2008 web site for further details. The Economic Daily News and The Environment and Development Foundation (EDF) in Taiwan have announced that they will hold a conference titled ‘2007 International Conference on Green Products - how to market green products and services’ on 13th and 14th November 2007 in Taipei, Taiwan. 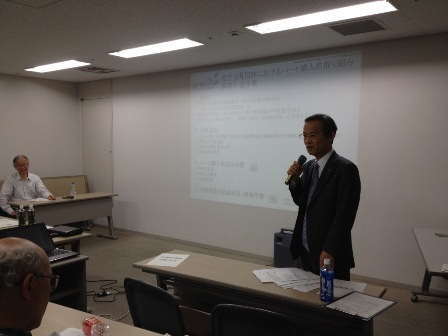 The conference will be sponsored by the Environmental Protection Administration Taiwan. A series of worldwide concerts are being planned for this summer to highlight the threat of global warming. The eight Live 8-style gigs were announced by former US Vice President Al Gore, and Johannesburg, London, Shanghai and Sydney are among the host cities. Three other concerts will take place in the US, Brazil and Japan with the cities still to be decided. There will also be a concert in Antarctica. Visit BBC News web site for further information. There is growing awareness in Malaysia that voluntary programmes, such as green purchasing and green procurement, economic instruments and reporting mechanisms, are necessary to influence industry and society in order to reduce the effect on human health and the environment. With the objectives to create awareness concerning the current international trends on green purchasing, procurement and greening the supply chain; to implement green purchasing tool kit, products database and guidelines; and to create awareness and action plans for the implementation of green purchasing and procurement in specific sectors, Green Purchasing Network Malaysia (MGPN) will hold a conference ‘Connecting Green Asia with the Global Market’ on 6th November in Kuala Lumpur. Malaysia. National Center of Sciences Building, 2-1-2 Hitotsu-bashi, Chiyoda-ku, Tokyo, Japan. The Second Announcement and Call for Papers of EcoProcura, including IGPN’s 2nd International Green Purchasing Conference and the LEAP Project Results, are now available.